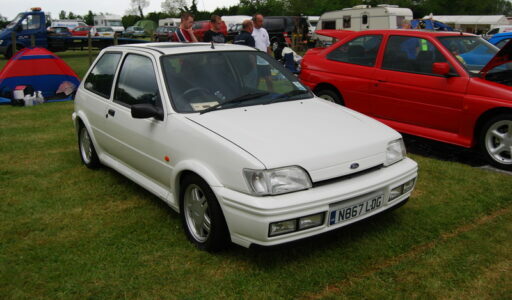 The RS1800 rolled off the production line in February 1992 and was only distinguishable from the XR2i by the extra slits in its 14″ 5-spoke alloys and the badge on the rear boot lid. The extra £1000+ difference in its price compared to the XR2i was un-noticeable…until you came to the engine. Even so when your looking down at both engines the only external difference you will see is that the RS1800 has a 1.8 injection sticker which includes a 130 figure whereas the XR had 105. Most of this extra money went on the internals of the engine – with the performance enhancements like higher profile cams, uprated throttle bodies (identical to those on the 2.0 Zetec’s), and Ford advanced engine management chip. With all these modification to what is essentially a 1.8 16V XR2i engine the RS1800 was capable of 130bhp pulling in strong at 6250rpm and topping out at approximately 127mph. The torque on the RS1800 is phenomenally higher than the XR sibling at 120 lbf.ft at around 4500rpm which enabled the RS1800 to achieve a 0-60 sprint time of just over eight seconds. The RS1800 also had revised suspension set-up which was and is still second to none to this day. This came from extra stiffness, complimentary of the 20mm front anti-roll bar, increasing front wheel traction and reducing understeer. The RS1800 underwent various phases during its 3 year lifespan. Firstly in 1992 the coloured side repeaters were swapped for clear items and a very helpful “lights-on” warning alarm was also introduced. The RS remained in this state until 1993 when an immobiliser was thrown in as standard and then in late 1994 it went through its most revolutionary change yet, where power steering, driver’s airbag, colour-coded door mirrors were bolted on. 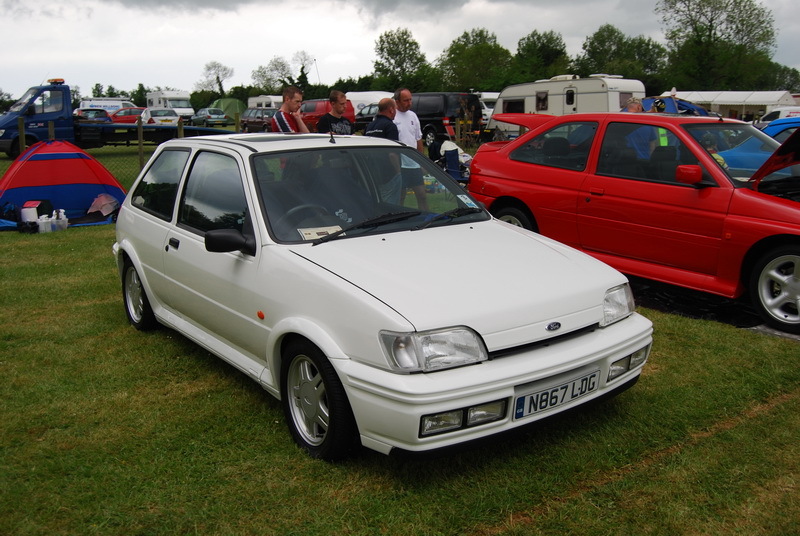 This change resulted in what is known as a Mk3.5 Fiesta (Si model) which also contributed to the post late 1994 RS1800′s revised floor-plan, winged front seats and interior and fuel filler metal cover. The pre-late 1994 models were undoubtedly the RS1800′s to have due to the fact that Ford had to compete in a market that was increasingly becoming very very competitive with the likes of Peugeot’s 205 GTi, Renault’s Clio 16V and Vauxhall’s Corsa GSi all wanting a piece of the action, therefore Ford had to make these changes and cut costs on the RS’s production. 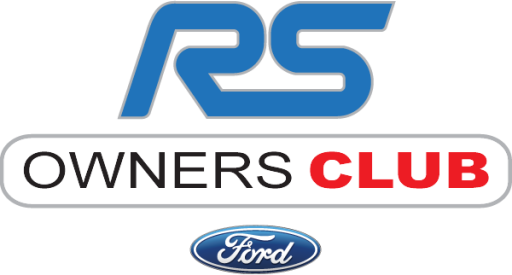 During this cost-cutting phase Ford also placed the RS alloys onto the options list in order to get extra revenue from buyers. System: dual circuit, diagonally split, hydraulically operated, optional electronically-controlled 2-channel anti-lock braking system.